Mostly used in “Clean” rooms in pharmaceutical plants or hospital operation theatres to return or extract air from a low level through a vertical riser. Removable core in the grille simplifies cleaning of the inside of the riser. 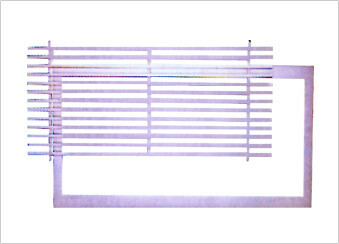 Available with either fixed louvers or perforations on the face.